Parish Membership is based on Baptism. You can be an Active Baptized Member without being Confirmed. However, Confirmation is an important part of Christian development for adults and older youth. “Confirmation is the rite in which we express a mature commitment to Christ, and receive strength from the Holy Spirit through prayer and the laying on of hands by a bishop.” (Book of Common Prayer, 860). We confirm both youth and adults after they have been prepared. If you have been confirmed in another Christian tradition, you may be “Received” by the bishop, with similar prayers for God’s work in your life. 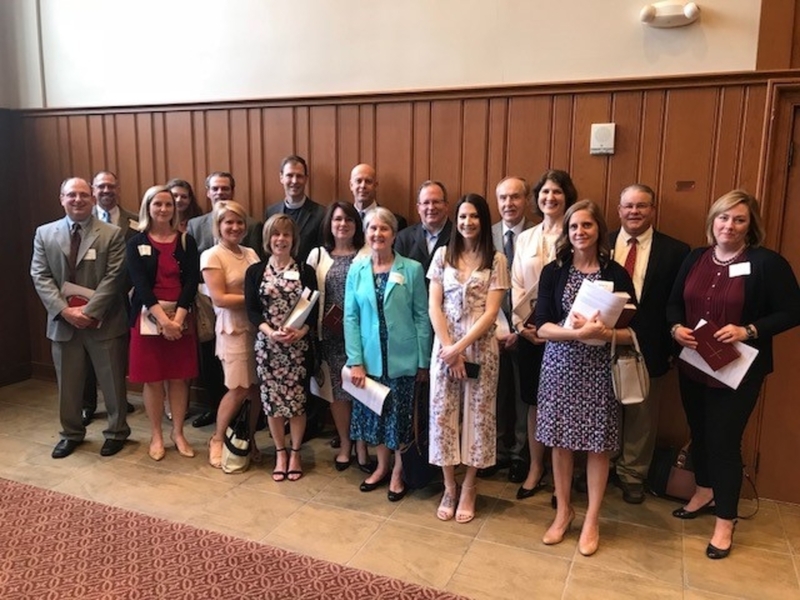 Confirmation or Reception is also one of the qualifications for individuals to vote at the Annual Parish Meeting or to serve as a member of the Vestry or as a Delegate to Diocesan Council. Different churches have different ages at which they generally prepare someone for this mature, public affirmation of faith. 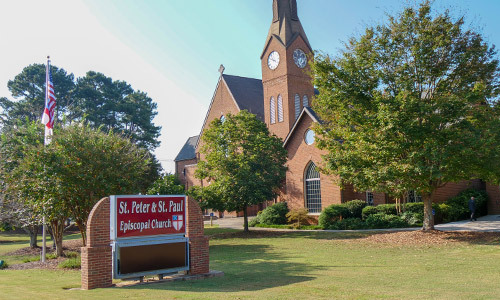 At St. Peter & St. Paul, confirmation preparation for youth is part of the Sunday School curriculum for 9th & 10th graders, rather than a separate class. Sunday School meets from 9:15 – 10:15 AM. Students are typically confirmed in the spring of their 10th grade year. Older students who wish to be confirmed are welcome to join the 9th & 10th grade class for this preparation (as many have in the past). Contact the parish office to register for Sunday School or to learn more about Confirmation preparation (770-977-7473). Those older than high school age prepare for confirmation in an adult program, usually in the early spring, and often in classes held after the 10:30 service Sunday morning (where we also share a light lunch). This preparation is for adults who wish to be Confirmed or Received, or for those who wish to renew their commitment to Christ (Reaffirmation). Contact the parish office for schedule and more information (770-977-7473).